You must make reservations at least 5 minutes in advance of the time at Tsunami - Annapolis. Best spot is Gott's Public Parking Garage located on Calvert St. between Northwest St. and West St. Once parked, exit garage near ticket dispenser and pass through small walkway and you will be right across the street from Tsunami. DJ (alt rock) many nights after 10pm. Individually scheduled theme parties, art shows, release parties and fundraising events. Private party room available for up to 22 people. Special, customized menus available. Room Fees or Guest Minimums apply for private events held Thursday through Saturday. 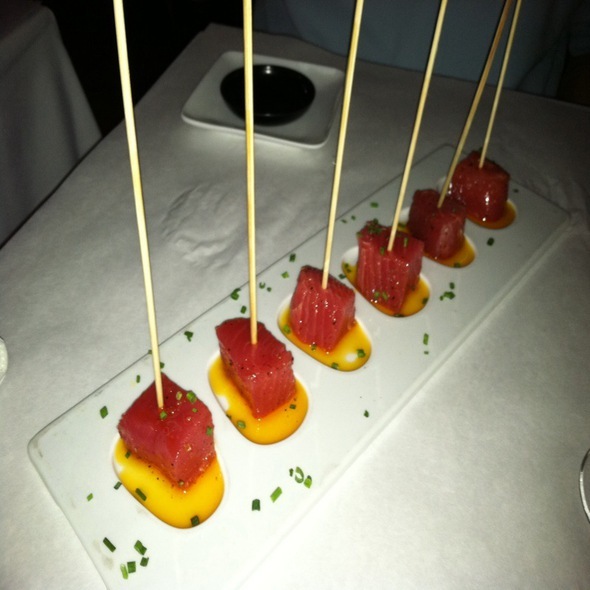 From fresh sushi to chef prepared steaks and seafood, Tsunami caters to all appetites. Surrounded in a modern, intimate, and lively atmosphere Tsunami welcomes all to enjoy anything from a creative drink, to a quick snack to a night of dinner and dancing. THE BEST PLACE!!! We went for our "birthday" celebration. The food and staff were fabulous! The manager was top notch!. A great place to be! Excellent service. Sushi was fantastic especially during half price happy hour! Can’t wait to go back. Our experience was amazing. We went for a bachelorette party and they accomodated us very well, putting us in a back corner that was comfortable and extremely perfect for our group. We also had a bit of drama that our waitress handled in a very professional manner. I will definitely go back! The restaurant is small, and it was crazy busy. The sushi was good but the texture felt like it had been made in advance and covered. It was tasty and appetizing. My favorite spot to have sushi before a concert. They make the best Kamikazes too! 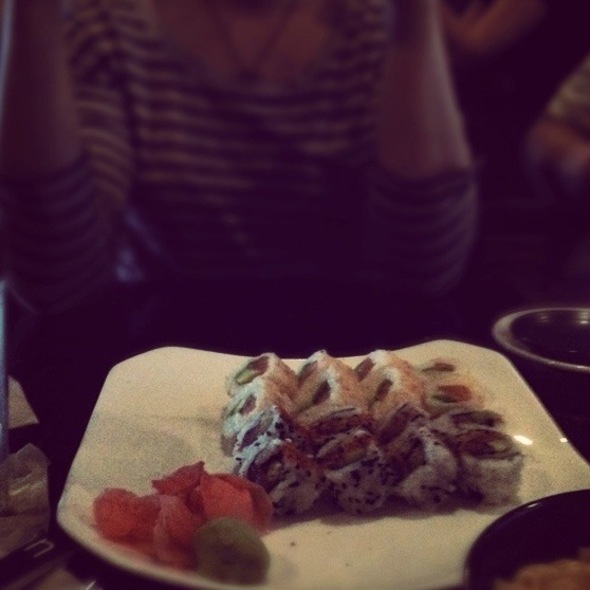 Tsunami was a great place for a date, meeting place with friends, or double date. My boyfriend and I went with another couple while we were visiting Annapolis and it was fantastic! 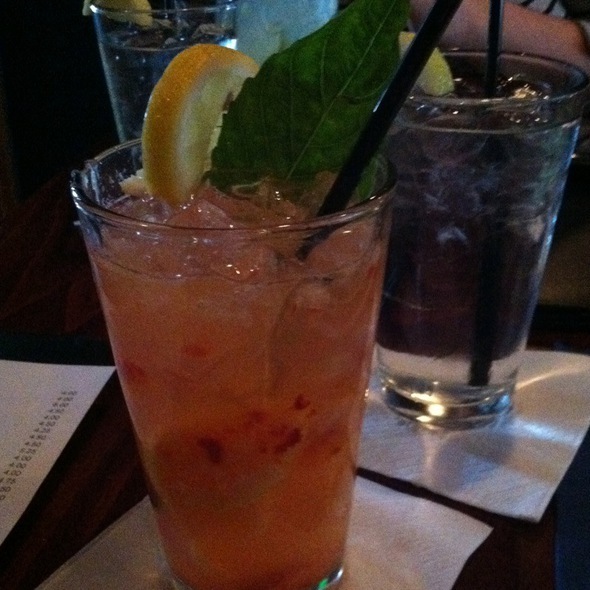 The service was outstanding and the drinks were great! We spent a couple of hours here even after finishing dinner because the drinks and the atmosphere were so good. This is my third meal at Tsunami. The food has never disappointed! Try the sea bass if you like fish. It was prepared perfectly. The french fries with their "special sauce" are to die for. Our table was ready when we arrived - that was awesome. The food was great as were the drinks. The Poke and the lobster tacos are delicious. The only downside you are crammed together with the neighboring tables so there is no privacy and it’s a little loud and busy. As long as you are aware then it’s no big deal. We went during their "happy hour and a half" only to be told it had ended (an hour earlier than advertised). Service was slow. My husband got his drink about 10 minutes before I did, then they brought out his dinner, before we even got appetizers. He was done eating before my meal even showed up on the table. Our server basically ignored us. Had to ask for the check eventually. For how busy they were, service should have been way better. The food was good. I had a spring roll that was on the daily specials. It was tasty, but mostly lettuce - not much crab or shrimp at all. Went home still a little hungry. My husband had sashimi and liked it, thought it was good. 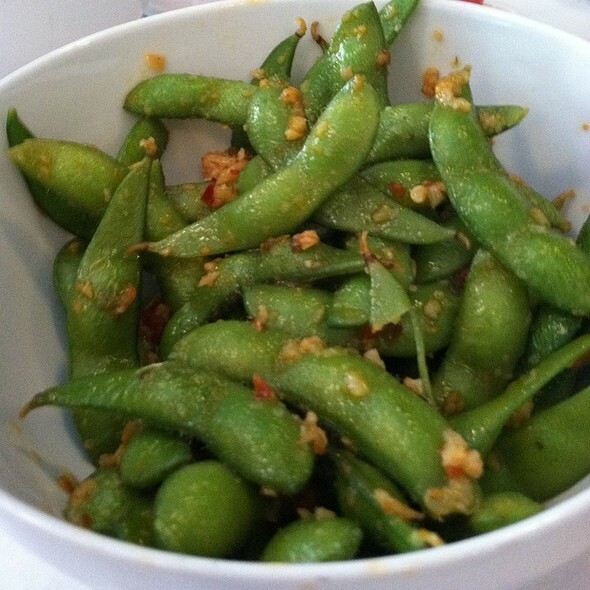 The edamame was also good, very well seasoned. I'd give this place another try -- maybe we just got a bad server. Kit is such a babe. Excellent food and drinks—a perfect pre-event meal with friends. noisy! noisy! noisy! service not great, but food good. Such a great place! Great food, great service, all around great experience. I will be back! I love Tsunami - the service is always impeccable. 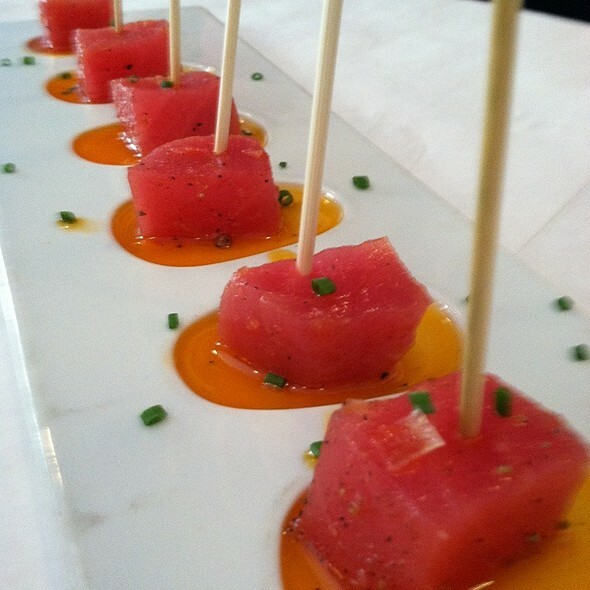 The tuna lollies are amazing! Our waitress, Chloe, was extremely helpful and friendly. She was kind enough to notify us that we had come during happy hour and even allowed us to order an extra item after HH had officially ended. The sushi was delicious and we enjoyed our window seating. The music is pretty loud, however, making casual dinner conversation difficult. Overall, we enjoyed it very much. I made a reservation at 5 pm and got seated without any issues. Atmosphere is great, I little too dark but great. Noise level is moderate to a bit noisy at times, however, the service was excellent, food was very good as always and the Happy Hour pricing is a great value! I love their happy hour on Sundays. Great deal and delicious sushi. I would highly recommend Tsunamis to anyone. The only negative thing I can think of is the lighting. It's a bit dim and would be nice to have a bit more light. Will be back again! Food was great - fabulous service! Would definitely recommend. Another great meal at Tsunami. Josh was the man behind the bar, and he was excellent yet again. The potstickers were killer. I would have liked the Kobe burger better without the caramelized onions. The sushi rolls were excellent. Can’t wait to go back! While we were in a hurry we let the waitstaff know. She was great and we were out quickly. She was also very polite ,friendly and helpful . The miso soup and are shusi were excellent. 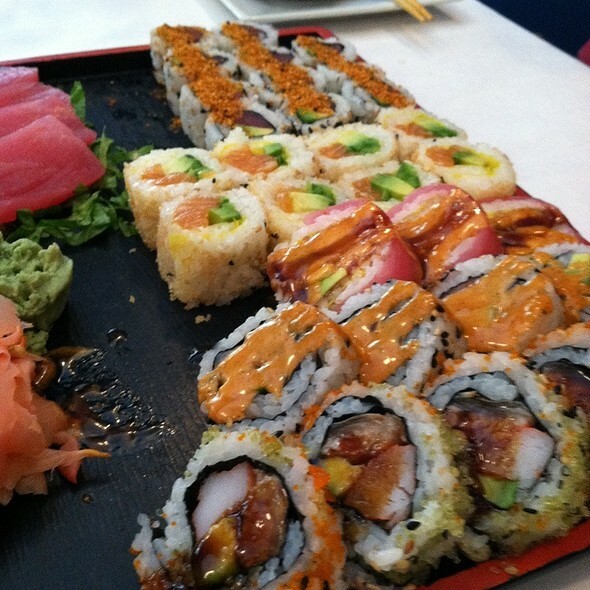 We really like shusi and will return when we have time to leisurely enjoy the variety of the menu . Space was very very crowded and loud but we were told it is not usually so noisy. We go to Tsunami often. Food is always very good and service is friendly and quick. 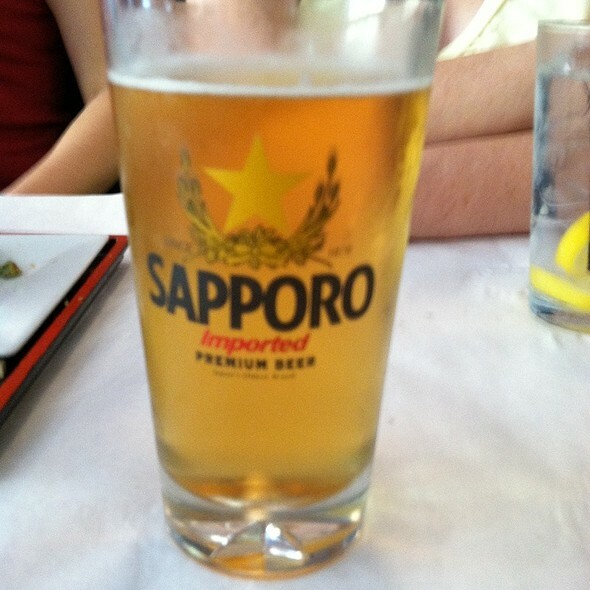 Tsunami is our Annapolis go to place for sushi! The food was delicious but the service was lacking. One server was responsible for our whole section with no help and there was no method to how she checked on tables. We ordered sushi for happy hour and decided to order more. We asked for another order form and it took almost 20 minutes for her to come back and collect the new order. Other than this, the food was worth the wait. So yummy!! Went for New Years Eve date night. Reservation was easy to make. Room was very dark to read menu and table was small. We ordered some sushi and an appetizer that were both great. My wife got the kapaw rice bowl that was good but not great. I ordered the halibut which was really good. Wine with dinner and then dessert with coffee and tea. All were really good but green tea was only available and my wife prefers black tea. Service was slow but they gave us the dessert on the house when it took so long to come out which was good. Overall we really liked Tsunami and would go there again. We always enjoy dining at Tsunami and have the last few years made certain to include it in our holiday family must do list. Sushi is extremely well prepared and never disappoints; edamame is best with basil and Old Bay. Mussels are awesome, and great service by Breanna. Highly recommended if you are in Annapolis and want sushi. Being left out in the freezing cold until exactly 5:30 because they don't open until then and we had reservations at 5:30. Totally unacceptable behavior on the part of the management. Otherwise, the service and food were very good. Not to sure if I'd be jumping up and down to return or recommend the place. At least I'd warn people NOT to get a 5:30 reservation. Especially if the weather isn't nice. 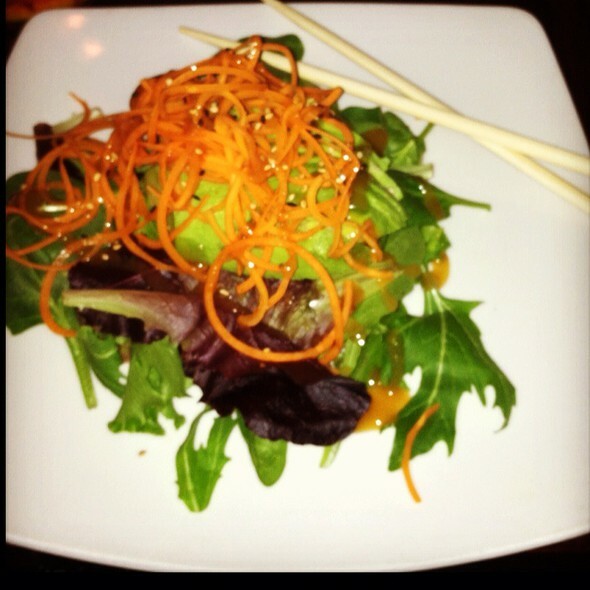 The food and service are consistently good at Tsunami, and the innovative Asian fusion food does not disappoint. On the negative side are the worn decor - it just looks dirty and cheesy - and the noise, which makes it almost impossible to have a dining experience without shouting. I personally do not find that enjoyable. That keeps us from going more frequently, which we could do as we literally live right around the corner. Amazing sushi and fun and tasty cocktails! The service was great and our waiter was very knowledgeable. Food and drinks were great as always! I always love an evening out at Tsunami. 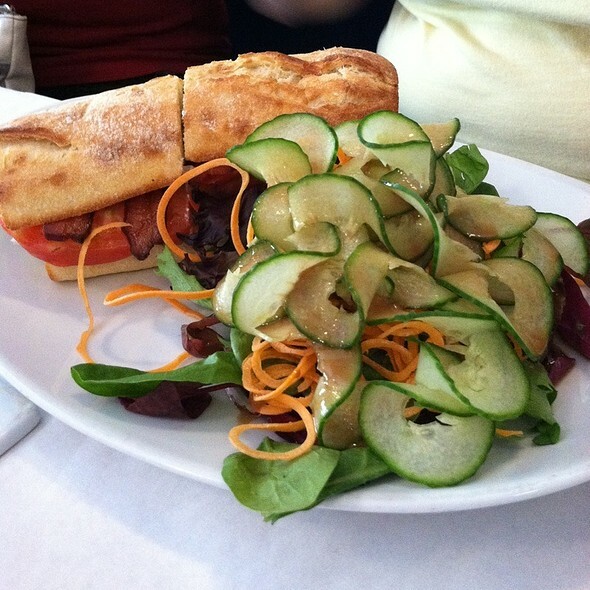 They have a menu that is easy to find food choices for almost everyone. The food is delicious and we'll plated. There is a good variety of drinks to choose from as well. The music is a bit loud for my tastes but I have always been able to hold a conversation. This is a favorite spot for a GNO for me and I always see happy couples there as well. Happy hour is a great deal! We love the Garden Roll and Earth Day Roll. These are great vegetarian sushi rolls. The fries with aioli are always delicious. The fried rice is always a nice filling dish. The saracha mac and cheese is great on it’s own or with fries dipped into it. Sometimes it can be too spicy depending on who prepared it. The kitchen produced some spectacular dishes on 11/14/18. All of the food was excellent. On busy days, it can be too loud, but it was a nice visit this time.